These days approx everybody knows how to access internet on computer or laptop and for its connectivity router are must but if you ask anyone what is IP Address of your Router, Hardly few of us are aware about it. 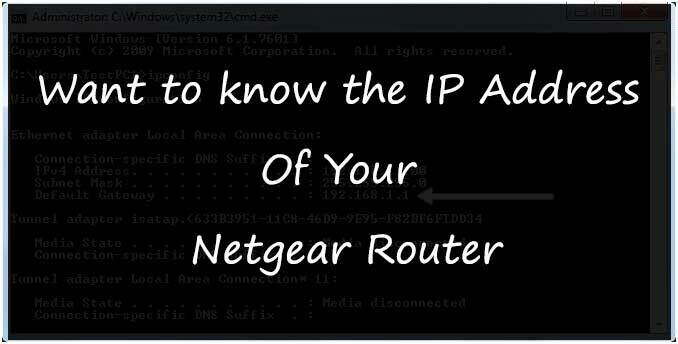 So, Today I will make you understand with the help of my article that how to get IP Address of your current NETGEAR router. Either 192.168.0.1 or 192.168.1.1 will be by default IP Address of your NETGEAR router. To get information about your router, in the address bar of your browser (Google Chrome, Mozilla Firefox and Internet explorer etc) you need to enter http://www.routerlogin.com or http://www.routerlogin.net.In. – By entering these urls if you get message on your computer screen that Web page not available or Page cannot be displayed, It simply means might be the IP Address have changed. Always remember that while using internet your system or device should be connected to router with Wireless or cable connection because automatically router will get IP Address of system which you will use. 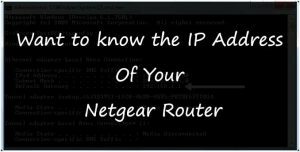 If you want to know the current IP Address of your NETGEAR router then you will require to install in order to get automatic IP Address, in case static IP is being used by your system or device. Go to Start button and select All Programs option. Select Accessories and after that click on Command Prompt. In Command prompt type Ipconfig and press Enter key. Find Default Gateway. In front of it you will get your router’s IP Address. In Control Panel select Network and Internet option. 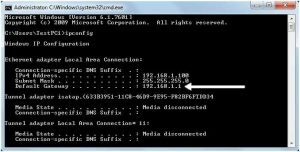 You will get Network Connections window, Find network connection you wish to see the default gateway IP. Always remember the mostly On Windows 8 systems generally wired network connection will be mentioned as Ethernet, and wireless connection will mention as Wi-Fi. Click on the network connection. Dialog box either with Ethernet or Wi-Fi Status will open. Click on Details button option. 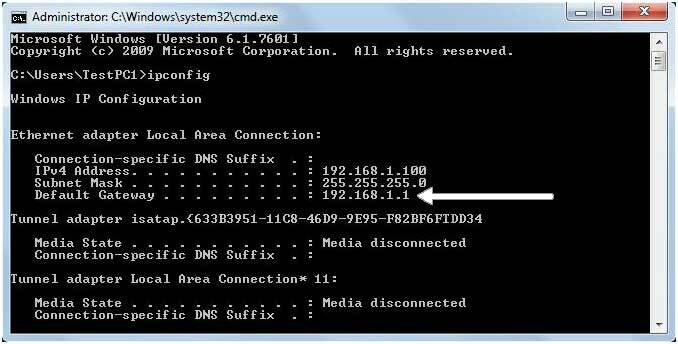 In Network Connection Details page, Under the Property tab, find IPv4 Default Gateway or IPv6 Default Gateway, It will depend on the network you are accessing and it is the IP Address of your router. In the task bar or system tray on the right side click on network connection or internet access icon and select second option Open Network and Sharing Center. If your system is connected to the router with the help of Wire, select Local Area Connection and if its connected wirelessly, click Wireless Network Connection. Next click on Details option. The IP Address of your router will display in front of IPv4 Default Gateway. Go to Start menu and right click on Network option, and from Network Choose Properties. Network and Sharing Center window will open. If system is connected to router with cable, select View Status to the right side of Local Area Connection. If connected with Wi-Fi, select View Status to the right side of Wireless Network Connection. Select Details option. Router’s IP address will come opposite to IPv4 Default Gateway. On the Start menu, right click on My Network Places option then click on Properties option. Again if system is connected to router with cable, select View Status to the right side of Local Area Connection. If connected with Wi-Fi, select View Status to the right side of Wireless Network Connection. Select Support option after that select Details option. New window will appear the screen IP Address of router. If you have any questions then feel free to ask me via comment. As soon as possible i will answer your queries. If this post was helpful then please keep on sharing it and Do not forget to like us on Facebook and follow us on twitter.